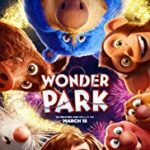 Brianna is the leading voice in Paramount's animated feature film WONDER PARK, has done commercials for Lysol and Nickelodeon, portrayed Jackie Durham in the Lifetime movie WISHIN' AND HOPIN'. been seen on the TV series MOMSTERS and has done a variety of musical theater. Brianna was born with a love for entertaining. Her favorite movies as a baby were the musical CATS and Disney's FANTASIA. Her first on stage experience was as an Angel in the Nutcracker Suite where she continued to perform for many years as a Soldier, Clown and Little Marie. Her dancing career came to an end when she was given the lead role in ANNIE, Jr. and a scheduling conflict occurred. It was a tough decision for a 9 year old girl to make, but it was what launched her into her current acting path. After performing as Annie and the role of Tammy Mara in MIRACLE ON 34TH STREET, her director and school principal drove her to New York City to audition for the Broadway musical Annie. Although she did not receive a part, it opened the door to future trips into the city. She soon met her manager and was off and running to auditions with big dreams in her heart and then was diagnosed with nodules on her vocal chords. She was instructed not to sing for a year, which was very difficult for Brianna, and put her in a more solemn mood. However, she continued to go on acting auditions with her deep, husky voice. In November 2014, she auditioned for the lead in the Paramount animated feature film WONDER PARK, and because of her unique. mature, husky voice, she landed the leading role. After 7 months in voice therapy, her nodules significantly reduced, to the amazement of the doctors. She works with a professional vocal coach and is singing once again! She has been in musical productions of THE GRAND HOTEL, MEMPHIS, WILLIE WONKA and as Judy Turner in A CHORUS LINE. It is her goal and dream to one day perform in her childhood favorite, CATS.